Retired racehorse Rock N’ Bid struts his stuff. Photo by Katherine Turnbull. The Retired Racehorse Project announced today that 578 trainers have been accepted to compete for their share of $100,000 in prize money at the 2017 Thoroughbred Makeover at the Kentucky Horse Park on October 5-8. Of those trainers, 65 applied and have been approved to enter two horses. Two hundred-thirty trainers have registered their horses already, which means there are still more than 300 trainers shopping for horses to use in the competition. The Thoroughbred Makeover, which is being called the greatest multi-discipline gathering of horse trainers ever, is a racehorse retraining competition. Trainers are approved based on their skills in a primary discipline, but may compete at the Makeover in one or two of ten sports (eventing, show hunter, show jumper, dressage, barrel racing, competitive trails, field hunters, polo, working ranch, and freestyle) depending on aptitude shown during the training process. Each trainer must acquire a Thoroughbred that meets the competition’s guidelines, which states that eligible horses may not have started second career training before the December 1 opening date, and must have raced or had a published work after July 1, 2015. Racing owners may list their horses on the RRP website as Makeover-eligible. 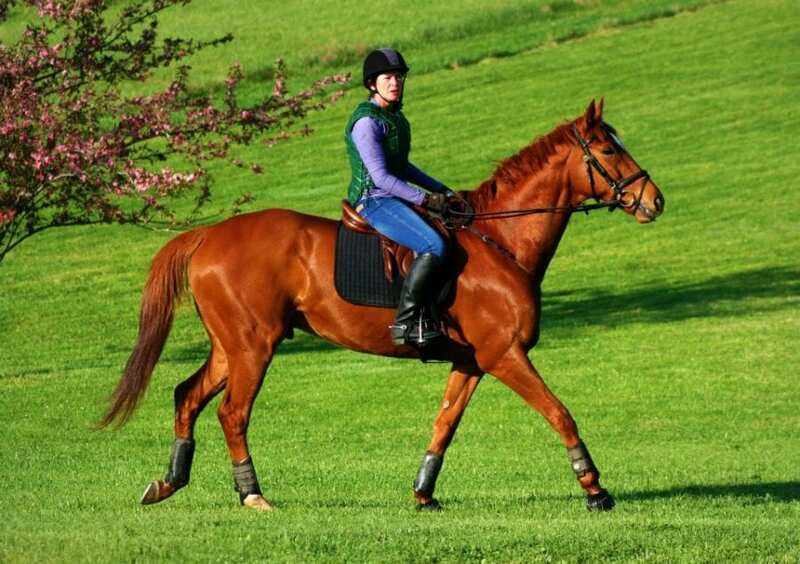 The website also allows horse owners to list any Thoroughbred – regardless of its Thoroughbred Makeover eligibility – for sale or lease free of charge. The 578 trainers approved to compete this year include some of the most highly respected in their disciplines. The field of trainers is comprised of 49% professionals, 39% amateurs, and 12% juniors. They are from 44 states, two Canadian provinces, and England, with the highest representation from Pennsylvania (63), Kentucky (61), Virginia (45), Maryland (38), Ohio (31), Michigan (29), Florida (28), New York (26), Georgia (26), and Ontario (25). Twenty-one will travel from the west coast states of California (16), Oregon (3), and Washington (2), and two will fly from England. Last year’s Thoroughbred Makeover winner was Fairway King, a Florida-bred son of Leroidesanimaux (BRZ) who was retrained in the disciplines of dressage and eventing by Lauren Turner of River Birch Farm in Jasper, Georgia. Out of the Robyn Dancer mare Par Golfer, Fairway King was bred by Frank Bertolino and sold as both a yearling at the 2013 OBS August Sale and later as a 2-year-old at the OBS June Two-Year-Olds and Horses of Racing Age Sale the following year. The gelding raced nine times as a 3-year-old for owner Leo S. Nechamkin II, winning once and earning $20,327 before retiring in the summer of 2015.